Simple Plugin for SuiteCRM /SugarCRM CE / SugarCRM Pro / OutrightCRM. Your customers are valuable, Communicating with them is great! But while switching between CRM and Mobile, you are loosing important conversation into CRM? CRM is made for your customers, keeping all of the conversations into a single place, switching between devices is to lose important emails into CRM. Are you one facing the same? Here is solution, it’s brilliant! 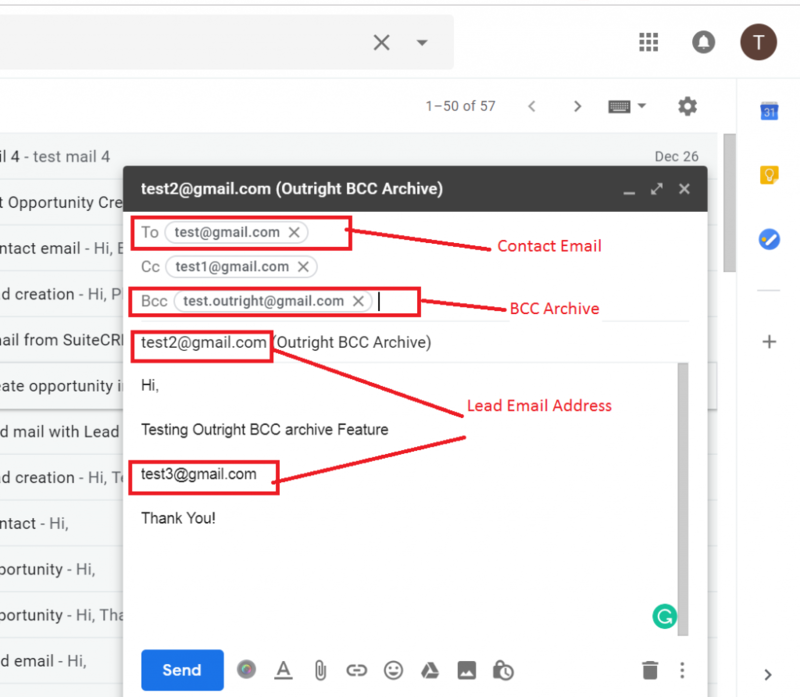 Just BCC all of your client emails when not sending from CRM, This email address can be 3rd party or one of your organization. It’s just relayed to CRM based upon rules set. What rules can set for? 1.Scan email body for any customer email address. 2.Scan "To","CC","BCC" for any customer email address. 3.All received email address then will be scanned into CRM to attach this email to intended client/clients. As a result, You will never miss your important conversation with your valuable customers, they will be attached into CRM right away. You never need to worry about your devices. Your emails will be always attached to your customer in CRM. Please follow the below steps before installing the BCC Archive. Verify the CRM version should be compatible with BCC Archive. CRM should have the Outright utils file, if not then install the OutrightUtils package first then install the Bcc Archive. 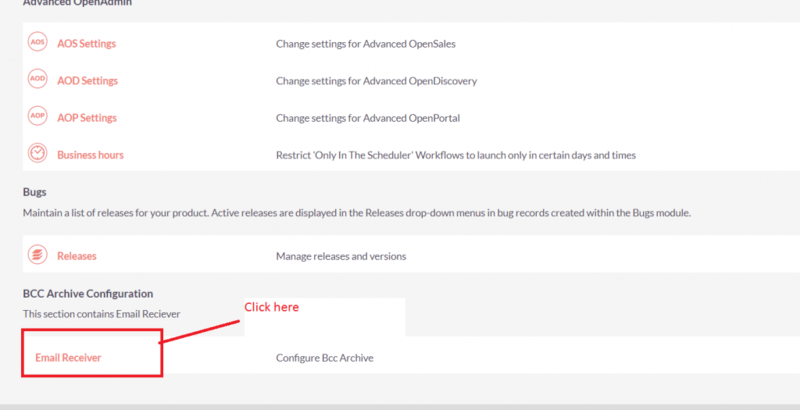 You must have an Inbound account to configure the BCC Archive. Click on “Test Settings“, observe that “Connection completed successfully” should appear on Popup. Again go to the Administration page and click on Email Receiver. Enter the name of the settings and select the configure Inbound group email. Checked the Subject and Body checkbox, if you want to fetch the subject and body email address also. Go to any module like “Contact”. Create a new contact, enter the email address and required field then click on save. 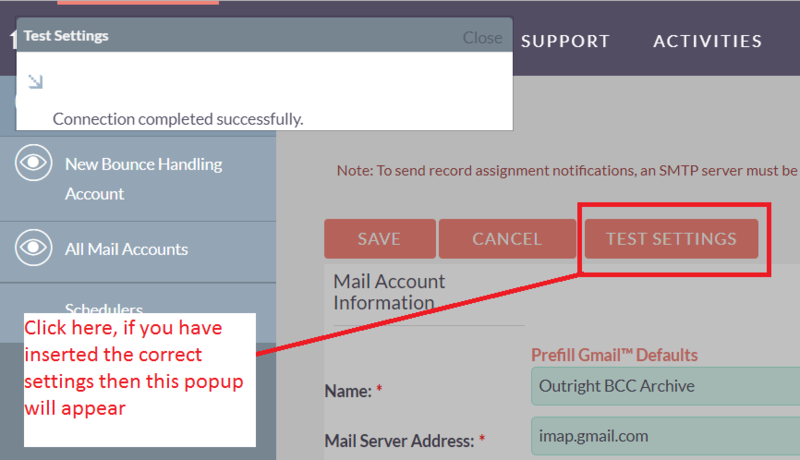 Send the email from outside the CRM to the created contact and cc one more email address, enter configure Inbound email address in BCC. Enter the Email address in Subject and Body both, then send the mail. Go to the created Contact and check the history after one minute and observe that the sent mail appears in history subpanel. Create the 3 new records in any other module like “Lead” with the “CC, Subject and Body” email address and observe that the sent mail also appears on both 3 new created records history subpanel. 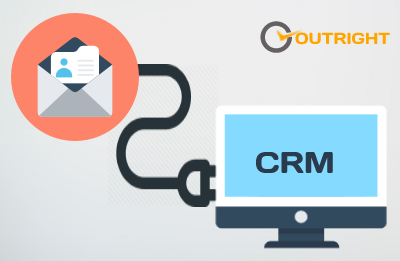 Note:- Write an email through Gmail/outlook and put that email address in any of (to,cc,bcc) section which you have set up in New group mail Account,then put any email address in (to,cc,body and from ) section of email, once email is sent then the whole conversation will get attached in CRM history subpanel.